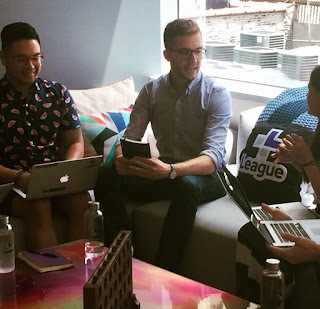 League, a Canadian digital health and wellness start up, has major plans for U.S. expansion, and we’re pleased to welcome the company to the Windy City as both a neighbor and LCWA client! Backed by a $25 million investment – one of the largest in Canadian start-up history – League is putting down roots in Chicago and has selected the growing River North tech corridor as the site of its U.S. headquarters. League is represented nationally and in Seattle by The Fearey Group, a fellow member of the Public Relations Global Network. For the Chicago launch, The Fearey Group and League team tapped into LCWA for a tailored launch strategy that would capture the attention of the city’s top media outlets and potential League customers. The announcement led to a flurry of media interest and interview requests within a matter of days – resulting in stories published in the Chicago Tribune and top technology blogs such as Built in Chicago, Technori and ChicagoInno. In addition, League’s founder, Michael Serbinis, was a featured guest on WGN’s “The Startup Showcase” program. While goodie baskets are nice, we are excited to see Chicago welcome our new neighbors with a “basket” of media coverage! We look forward to working with League as the company grows in Chicago and beyond.